It is not difficult to Grow Tomato Seedlings. Like growing all other plants, it require the same basic elements soil (medium), light, water and the proper temperature to grow successfully. While everyone else combs through seed catalogs, buys seed packets and carefully plants seeds to get their tomato starters going. You can save a trip to home improvement stores (like home depot) to get your very own tomato seedlings by following this easy tomato slice method. If you have children, this would be a great project to get them involved. They would be super excited when they see the seedlings. Just keep them out of reaching knife. Cut tomato into slices, about 1/4 inch thickness. Half fill your pot with soil. 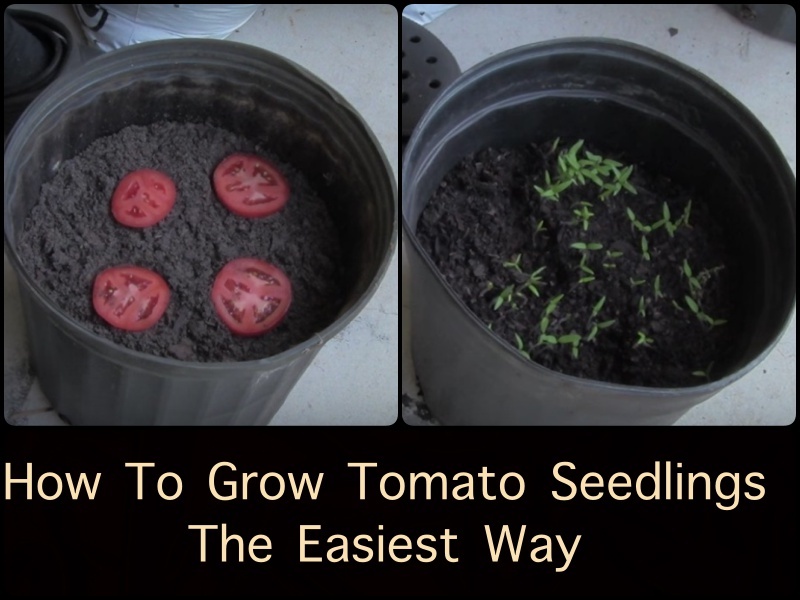 Then place the tomato slices in a circle on the potting soil. Keep the soil moist about 7-14 days, tomato seeds start to germinate. Pick and choose the biggest ones to continue growing in your garden or in another container.